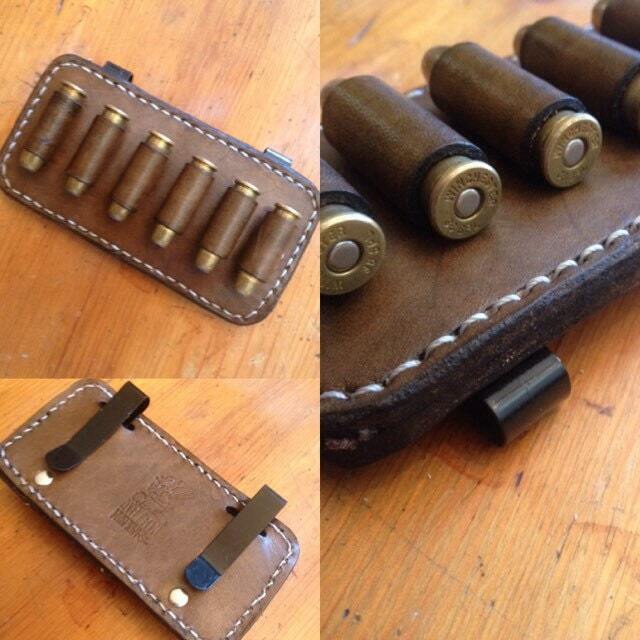 Custom leather made to order minimal bandolier. 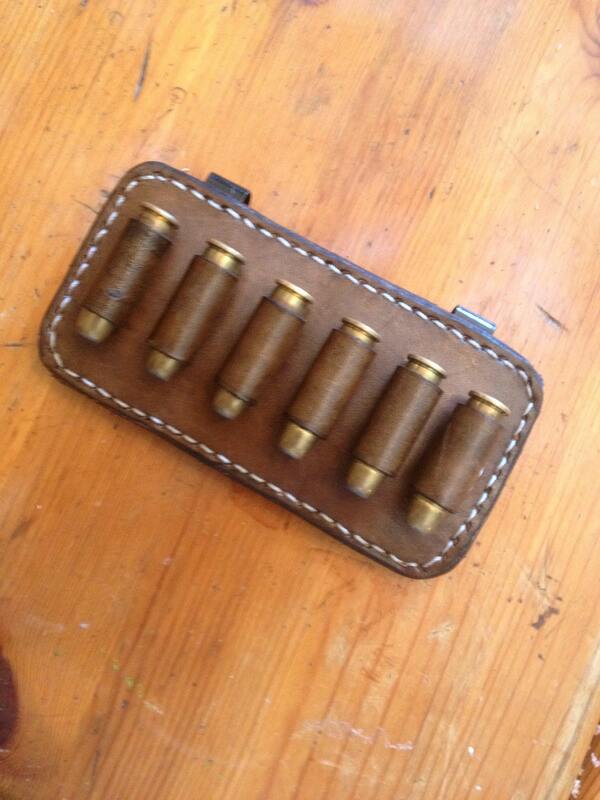 Turn any belt or strap into a cartridge belt. You choose the color leather, caliber size, and stitching color. You can even customize with tooling if you wish! 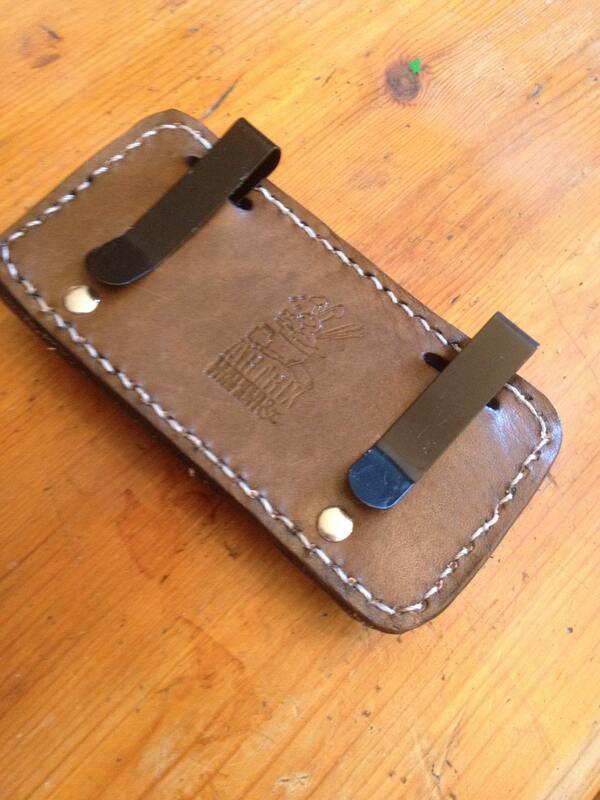 Genuine veg tan cowhide, hand dyed and hand stitched. 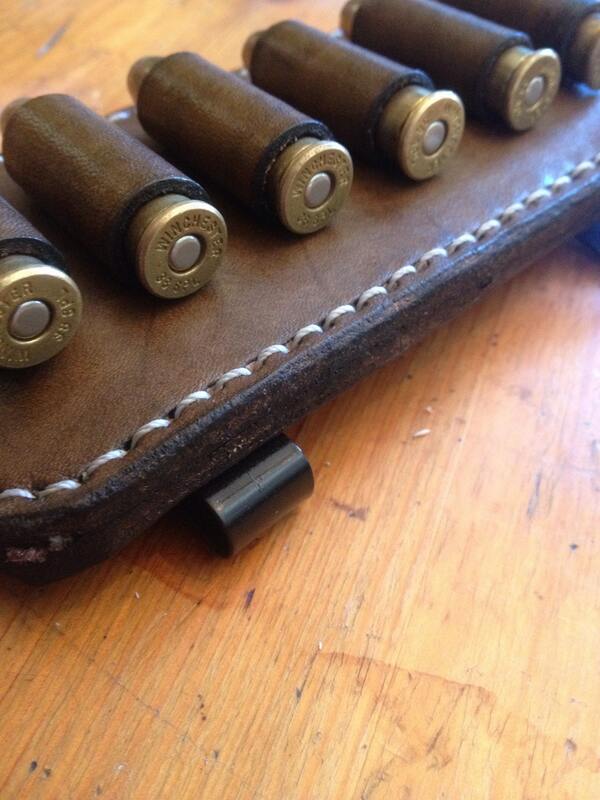 Sturdy spring steel belt clips attach to any size belt, strap or waistband.